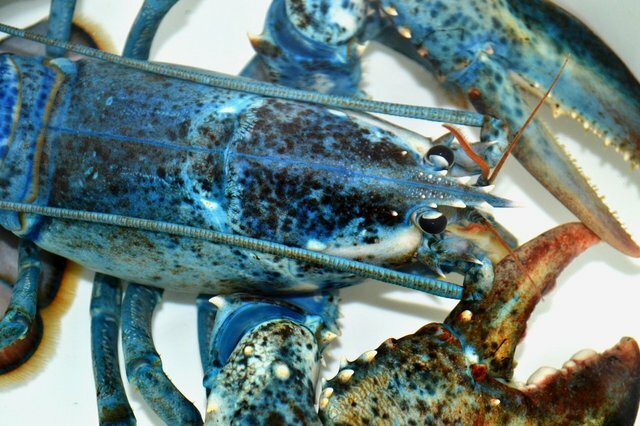 Toby the electric blue lobster has had a very active life, but he's finally moved to a permanent home, the National Aquarium in Baltimore. In June of 2012, Toby was donated to the National Aquarium after being caught by John Gourley on his fishing boat, the Pot Luck, near Ocean City, MD. He spent 16 months at our Washington, DC venue until it closed in September, due to renovations. After the closing of the Washington outpost, Toby, along with about 17,000 other animals, was moved to the main branch of the National Aquarium in Baltimore. He can be found in the "Maryland: Mountains to the Sea" exhibit starting today -- but given how much excitement he's had, he might be hiding under a rock for a little while.